BRITISH COMICS’ GREATEST HEROINE RETURNS! Bella Barlow is a young orphan with ambitions to be a world-class gymnast. She has the talent, but is hampered by her cruel Uncle Jed and Aunt Gert who constantly exploit her for their own selfish gains. 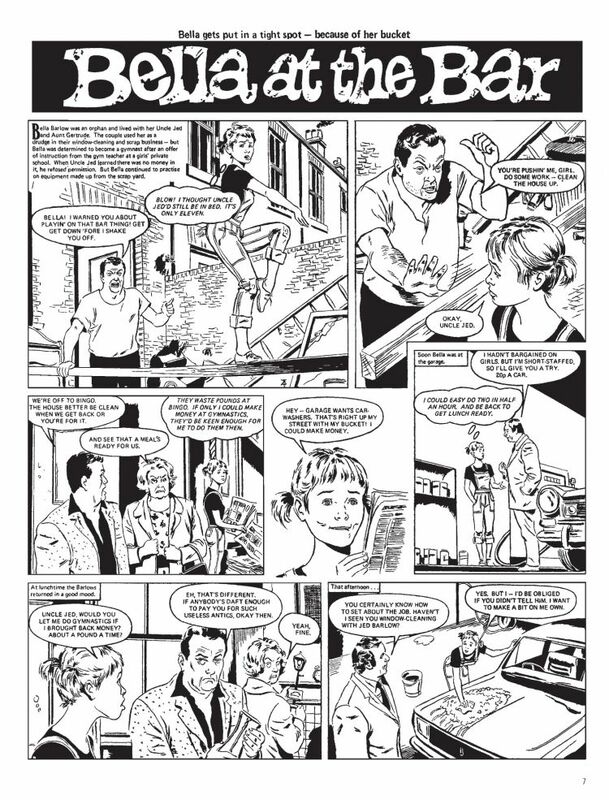 While cleaning windows for her uncle’s business, Bella comes across an exclusive school with a great gymnastics programme. A kind teacher named Miss Mortimer would happily accept her, but the young athlete faces great opposition from her guardians and the horrible snobbery of the school’s headmistress. Will Bella ever get to pursue her dream of gymnastic stardom? 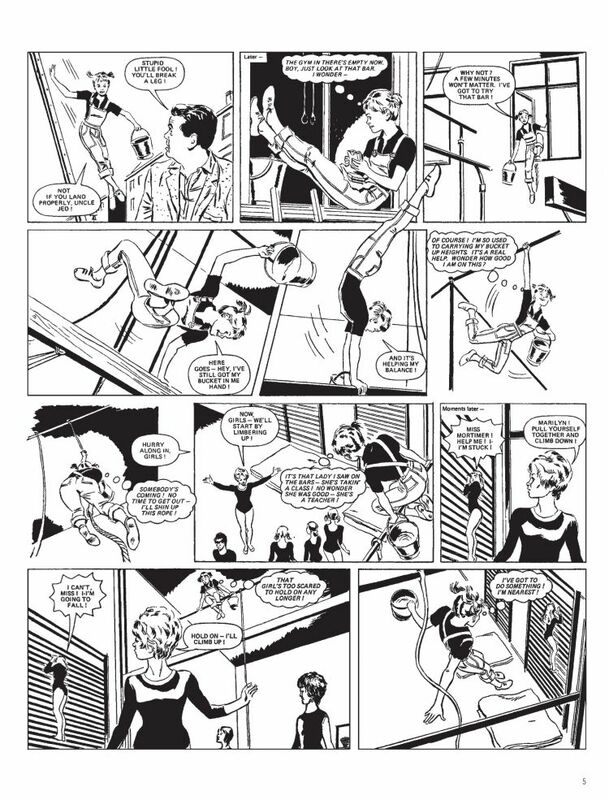 Widely considered to be one of the most important serials in girl’s comics history, Bella at the Bar is a charming, Cinderella-esque tale of triumph over overwhelming adversity.